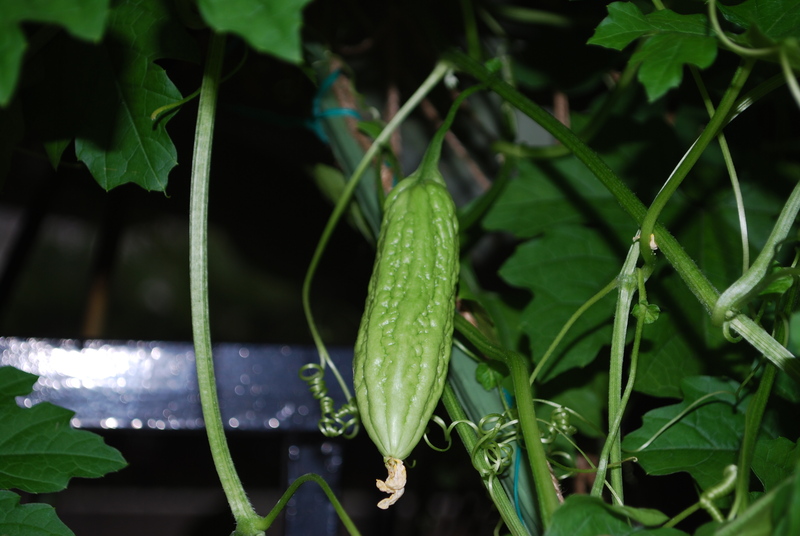 Remember Mummy made a mistake and planted the market bittergourd on a low trellis? The bittergourds are quite clever and fruited anyway. Here’s one. We have 3-4 currently. This entry was posted in Bittergourd and tagged Bittergourd by Growing Like a Weed. Bookmark the permalink.